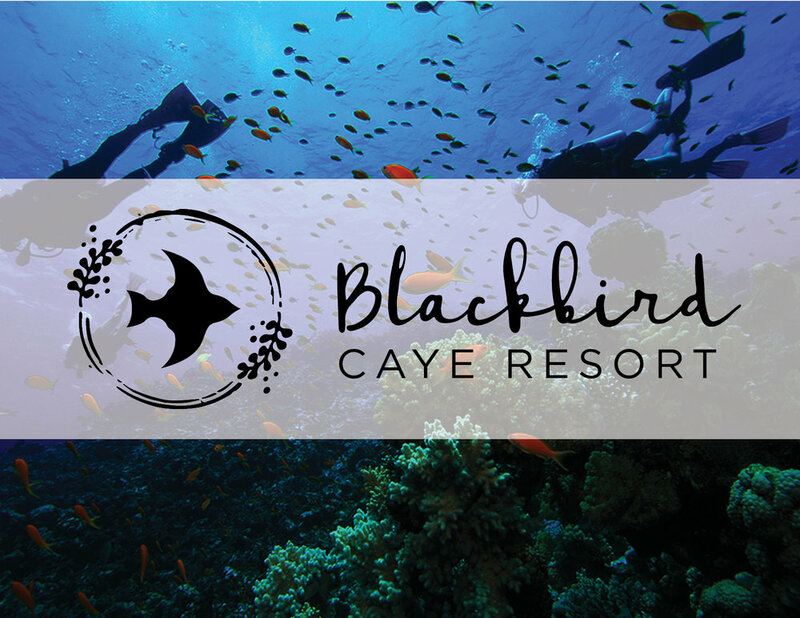 The challenge for this project was to rebrand an already existing tourist destination, Blackbird Caye Resort, a dive resort on the small island of Turneffe Atoll, Belize. The task was to create a completely new visual identity, corporate stationary, and a deep dive into design touchpoints that create emotional connections with the customer and illustrate the brand’s unique offer. Out of all resorts on the island, Blackbird is the most sustainable & eco-friendly, the most exotic and diverse, and one of the most intimate and secluded settings with the best service. Being such a small and intimate resort with the number one value in sustainability, it was important to reflect this in all design elements and in the touch points that I chose to focus on.